Read the news from the block! 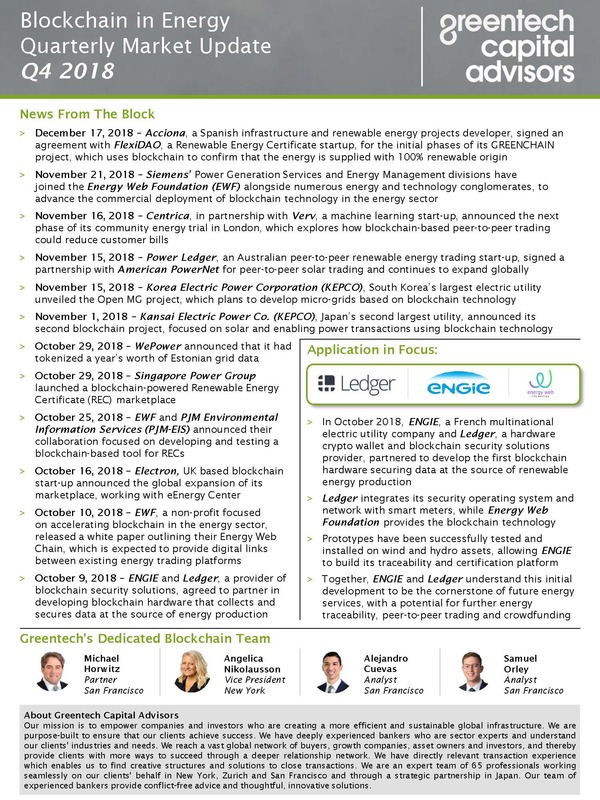 Greentech’s Quarterly Blockchain in Energy Market Update covers news, applications and partnerships relevant for our sectors. For this quarterly, we interviewed Nick Gogerty, Co-Founder and CEO of SolarCoin, a Blockchain-based digital currency company designed to support solar electricity generation. Read his insights and views on the evolution of blockchain in the energy sector.